Trees beautify their surroundings and keep the air cleaner, but, when their time comes it is necessary to make the hard decision and remove them. After it’s being cut down, each tree leaves a tree stump. If you don’t take care of them properly, tree stumps can cause safety issues, unwanted re-growth, insect infestation and, frankly speaking, they can leave you with an unsightly lawn. Read on for more detailed information about the importance of tree stump grinding. First of all, a stump doesn’t look good. If you are one of those people that take great care of the appearance of the garden, you’ll surely agree that old stumps simply aren’t acceptable. They impact the overall symmetry of the space and can decrease the value of your property. Second, tree stumps are a tripping hazard. This can be dangerous for you, your children and pets. And lastly, there is also the possibility of pest infestations. Without proper grinding, stumps can lead to fungi and insect nests which, in time, may spread to your home. Now that you know more about the risks that come with leaving tree stumps unattained, it is time to act on it. This means turning to a tree stump grinding service that can make the whole process less daunting and more efficient. There is a way to do it yourself – by putting chemicals in the ground, however, while this may work, the reality is that it will take a lot of your time, patience and effort. This whole process may last for weeks, even months. On the other hand, by hiring a tree stump grinding service you will see results in just a couple of hours. Next, let’s make it perfectly clear what tree stump grinding actually means. Stump grinding, unlike stump removal, doesn’t include digging. 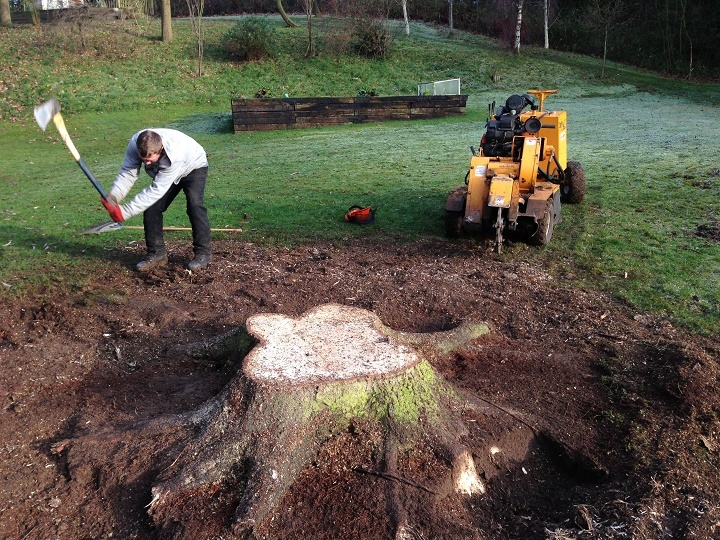 Instead, the pros will simply ground the stump into smaller pieces by using a stump grinder. The smaller pieces can then be used as mulch or ground cover. After the stump has been ground down to just a few inches below the surface, it can be covered with dirt. After a certain period of time has passed, the portion that’s left in the ground will decay together with the roots around it. Finally, it is important to be aware of the role of the professionals that get the job done. If a tree stump is not properly taken care of it might damage your lawn, it may be a hazard for any underground power lines or even to a whole construction if the roots are close to a house or building. 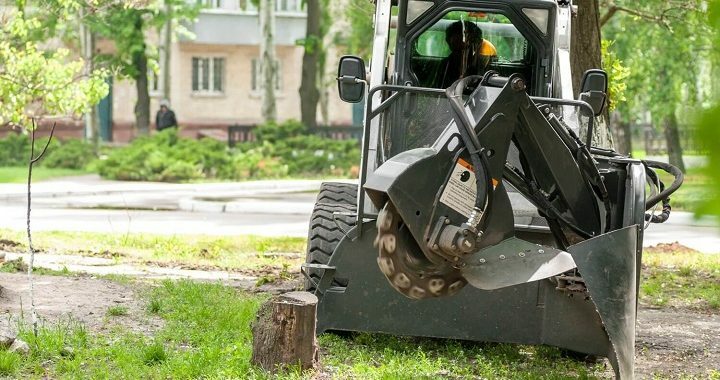 In order to avoid these and all of the above-mentioned issues, you need to rely on a tree stump grinding service whose staff specializes in stump grinding. Simply make sure that the company you decide to hire has well trained and skillful staff and that they are well equipped.